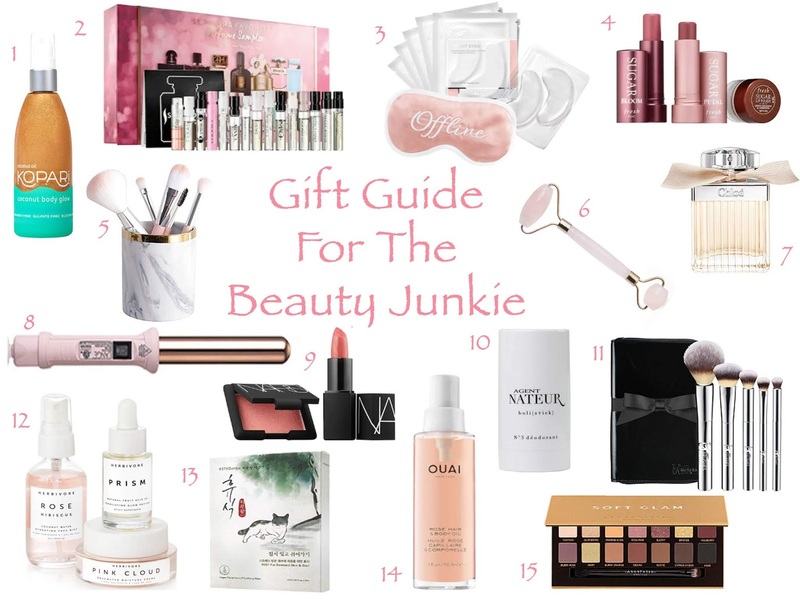 It's my first gift guide this holiday season, so I figured I'd start with something fun... Beauty Junkies! I'm a partial beauty junkie because I love skincare and have started warming up to makeup again. In my twenties I was so good at my makeup but now I'm re-learning and researching makeup products. I'm big about reading reviews, so anything I suggest that I haven't tried either has great reviews or is something I have been coveting. I hope you enjoy! The best way to sample perfumes is via these little samplers. If your giftee loves a good scent this will impress. Such a fun and cute gift! I love this brand, it really delivers. Add a couple brushes and voila! I love my roller, goodbye morning puffiness. My all time favorite scent. I've been researching curling irons/ wands and was impressed by this one. The reviews are outstanding, it's cute and reasonably priced. Per my sister in law, a beauty pro... this set is loved by makeup artists because it looks good on all skin colors. One of the best natural deodorants out there. It's a must try for those trying to make the switch and the packaging is so pretty. Fresh, pretty brushed are always welcome by girls who love their makeup. I love this set. Herbivore is one of my favorite brands, the rose water spritz is so refreshing. There isn't a beauty junkie out there who isn't into face masks or Korean beauty... this combines the two at a great price point. The best hair oil. I haven't used it on my body but love it in my hair and it smells heavenly. Makeup junkies love a palette. These colors are so pretty and can be used every day.